Do you find traditional saunas to be a bit too hot? But still want to enjoy the health benefits of regular sauna bathing? Then the ultra-trendy infrared sauna might be your cup of tea! For many years, hospitals and medical treatment centres have been using infrared technology to quicken healing for athletes, to treat the elderly and to keep newborns warm. Now the very same technology has taken the step out of medical environments, and into luxurious spas and beauty salons all around the world. It’s safe to say that right now, celebrities love infrared saunas. 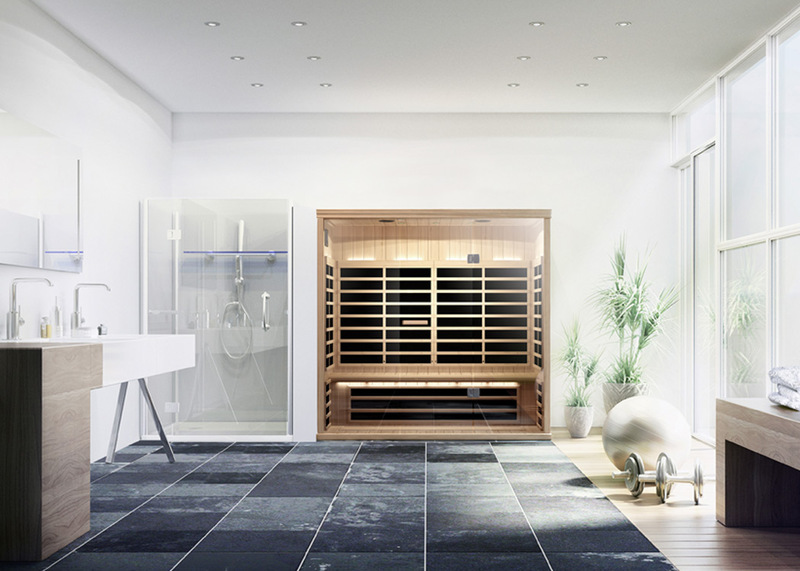 Gwyneth Paltrow sees plenty of benefits with this cooler and milder sauna version. Lady Gaga uses infrared sauna to treat her chronic shoulder pain and Jennifer Aniston, as well as Selena Gomez, have both installed infrared saunas in their own homes. The Infrared sauna uses infrared wavelengths of light to heat the body, instead of heating the air around it as a regular sauna heater does. The temperatures in Infrared saunas are therefore cooler than in the traditional saunas. Many people who find regular saunas to be too hot and humid, enjoy the dryer and milder air in an infrared sauna. Two of the most popular spas for infrared sauna right now is The Shape House in Los Angeles and The Higher Dose in New York. We couldn’t agree more! And if going to New York or Los Angeles every time you long for a sauna seems a bit inconvenient, you might want to consider installing an infrared sauna at home instead. We offer several infrared sauna solutions – check them out! Julia is part of the customer service team at TylöHelo. She recently decided to install an IR sauna in her own home. “I’ve been enjoying IR sauna at the gym and noticed that it relaxes my muscles very efficiently after my workout. I have also read about the health benefits; that the infrared heat warms our cells from inside and thereby reduces inflammation in our bodies. It also helps with skin troubles, wrinkles and cellulite, it also fastens the blood circulation. To me it is also very pleasant way to reduce stress. It helps me relax and get better sleep,” says Julia.